A block of hotel rooms have been reserved for Thursday 7/11/19 and/or Friday 7/12/19 for our guests at a wonderful discounted rate! The hotel is 4 miles from our ceremony/reception venue (roughly a 5-7 minute drive). For booking, please reference the "Malicdem-Tubis Wedding" for phone reservations 1-800-321-2211 , or use the link provided below (must use the link and not the main Marriott website). Kindly reserve your room by June 11, 2019 to receive the group discount. Rooms blocked include doubles or king. 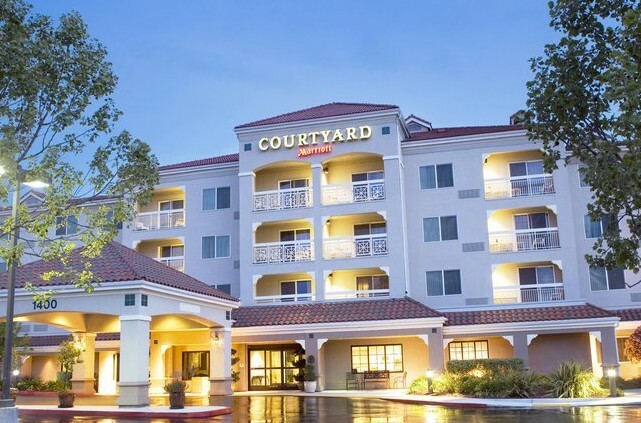 Hotel amenities include a fitness center, Starbucks, bistro, BBQ/picnic area, firepit, swimming pool, conference room, complimentary on-site parking and free high-speed internet. Click "VISIT WEBSITE" for our reservation link!